Certain dishes just never seem to go out of style. From chicken chow mein to beef with broccoli to pork chop suey, these Chinese stir-fry recipes are treasured classics. They are also great meals for a busy weeknight as the cooking time is quick. To make your stir-frying easy and the results delicious, make sure you follow a few tips for stir frying such as having all of the ingredients on hand before beginning to cook, cutting the meat and vegetables as directed and cooking the ingredients in the proper order. This way you are sure to create a stir-fry that will look and taste like it was made in the best Chinese restaurant. 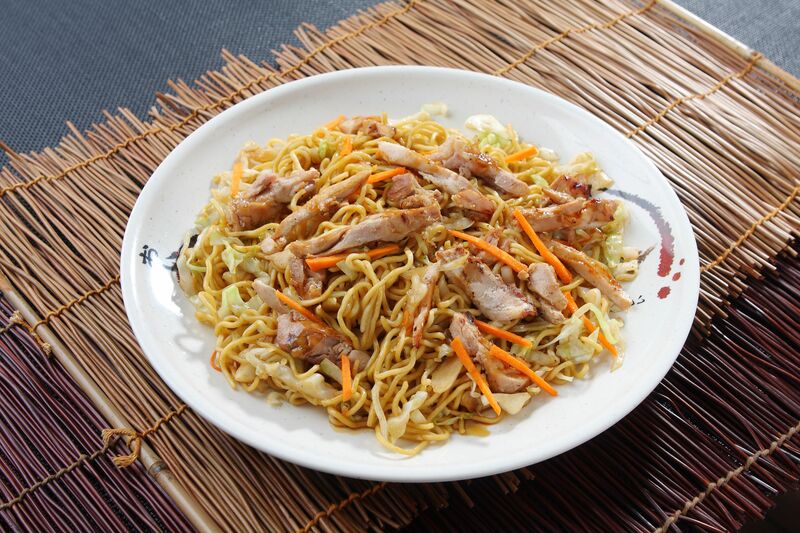 This recipe shows you how to stir-fry the chicken, vegetables, and noodles separately, and then combine them at the end of cooking. Traditionally, chow mein has soft noodles, but if you prefer a crunchier noodle you can cook them in a bit more oil for a longer period of time. Feel free to substitute shrimp or pork for the chicken if desired. This stir-fry combines beef and broccoli in a flavorful sauce made with rice wine, oyster sauce, soy sauce and sugar. When cooked at home, you can control the amount of fat and sodium, so this traditional Chinese dish will be a healthy dinner for the whole family, providing plenty of protein and vitamins dressed with delicious flavors. Chicken and cooked rice are combined with vegetables and seasonings in this quick and easy stir-fry recipe. This is an ideal way to use up leftover rice, and you can substitute brown rice for white if you prefer. This is one of those recipes you can play around with, including your favorite vegetables and seasoning the stir-fry sauce to your liking. Oyster sauce is an essential ingredient in Chinese cooking and is readily available in supermarkets in the Asian section. It brings an earthy essence to a dish, combining both sweet and salty flavors. There are several ingredients to this recipe but the process is simple—if you have everything you need ready to go before you begin cooking, you can put this tasty dish together in no time. These were a big hit when they first began showing up in Asian restaurants in the 1990s, and their popularity has never faded. They make a great party appetizer or main meal and are an ideal dish for those watching their carb intake as the lettuce replaces noodles, rice or a pancake-like wrap. Iceberg lettuce is the perfect vessel for the chicken mixture as it holds up well and doesn't wilt. Chop Suey is actually an American-Chinese dish that is inspired by Chinese stir-fry but did not originate in China. This classic comfort dish combines meat and vegetables in a savory sauce; however, the meat is added to boost flavor and is not considered the main ingredient—that title goes to the vegetables. Moo goo gai pan is a traditional Chinese stir-fry with chicken, mushrooms, bamboo shoots, and water chestnuts. Translated, "moo goo gai pan" means "fresh mushrooms with sliced chicken." If you stock oyster sauce, soy sauce, rice wine and chicken stock in your pantry, this can be a quick weeknight meal the whole family will enjoy. It's hard to go wrong with this simple but tasty dish made with shrimp, cooked ham, rice, and vegetables, seasoned with savory oyster sauce. Perfect for when you have leftover rice and frozen peas and shrimp on hand, but feel free to substitute fresh mushrooms and more ham when you don't. In this healthier version of the traditional recipe, the chicken is stir-fried instead of deep-fried, reducing the fat content and making for a lighter meal. Kung pao is a spicy dish featuring chili peppers—the beauty of cooking this at home is that you can control the heat. Lobster sauce is a white sauce and is an invention of Chinese-American cuisine. Surprisingly, the lobster sauce doesn't contain any lobster at all—it is so named because this sauce is similar to a family of Cantonese sauces that are served over stir-fried lobster. The sauce's base is a chicken or meat broth, eggs and fermented black beans.